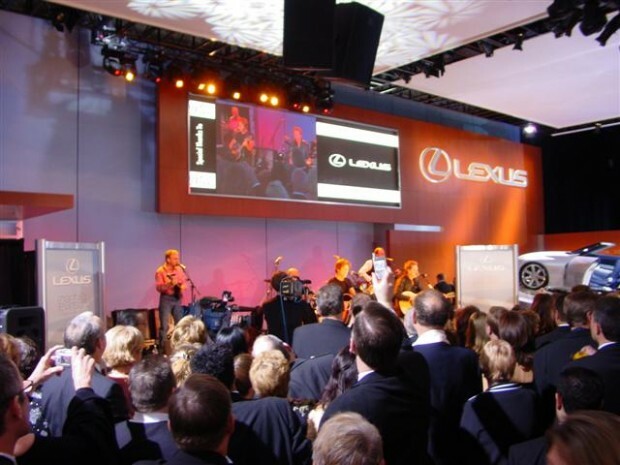 Actor Kevin Bacon and his band “The Bacon Brothers” performing for the VIP’s at the North American Auto Show, Detroit Michigan. Always a first rate entertainer, Kevin and his band made this a night to remember for many. Posted in Uncategorized on October 27, 2013 by intune_manager.